In partnership with parents and our community, Pinedale Elementary School is committed to providing a student centered, 21st Century learning experience that will inspire all students to become lifelong learners and prepare each of them to be responsible and successful adults in a global society. 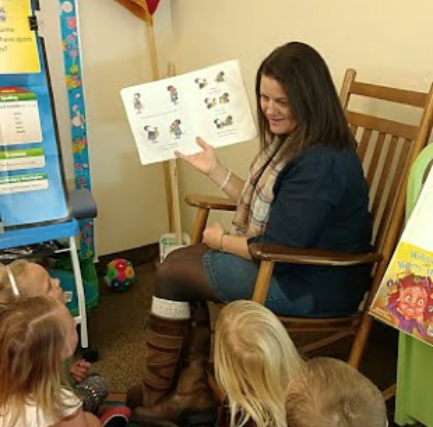 Sublette County School District 1 is pleased to announce that Jennifer Hayward, 1st Grade Teacher at PES, is the district's 2018 Teacher of the Year! Mrs. Hayward has taught in Pinedale since 2002 and she represents the passion, work ethic, and innovation that demonstrates excellence in the teaching profession. She is a lifelong learner who is always striving to improve her practice and approach. She is a National Board Certified Teacher, has a Masters Degree in Curriculum, Instruction, and Assessment, and endorsements in Early Childhood and Early Childhood Special Education. She is exceptionally dedicated to the children of Pinedale, both in school and in our community. At school she works tirelessly to meet the needs of every one of her students every single day. She is a teacher leader and serves on the school's RtI Committee, the District Data Advisory Team, and was on the Science and Social Studies Curriculum Writing Committees. In the community she serves our children by being the 4-H Leader of the Pinedale Livestock Community Club and the Horse Leader, and she is the Director of Religious Education at her church. Jennifer Hayward is a role model for us all in what it means to give back, love your profession, and advocate for student learning and well-being. Please join us in congratulating Jennifer Hayward on being named the SCSD 1 2018 Teacher of the Year.